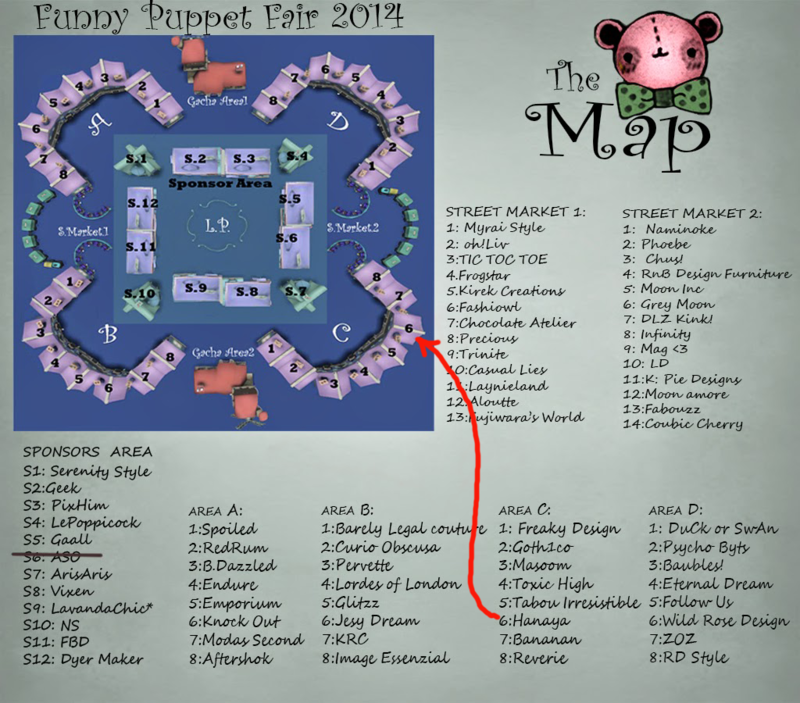 The Funny Puppet Fair 2014 officially opens at 3 PM SLT today, and there is tons of fun stuff waiting for you! Shops, a street market and 2 dedicated Gatcha areas inspired by robots, puppets and toys. And that’s not all! Each store is participating in the Funny Puppet Fair Village hunt. Look for a teeny weeny little star in each shop for a wonderful hunt item (cost 1L). Our contribution to the hunt is an adorable plush attachable toy. And if Miumiu likes to be held by you, the tail will wiggle in all sorts of kawaii ways. Or rez it out – it is 5 LI. And keeping with the robot/puppet/toy theme, guess what? The robopets are back! Reincarnated from their previous exclusive appearance at the Cinema event, they have been re-engineered as adorable wearables. All 5 are only available at the Funny Puppet Fair event. To see the rest of the robopets, come and shop at our store at the Funny Puppet Fair between May 11 – 25, 2014. This entry was posted in Events, Freebies and Gifts, Product Announcements on May 11, 2014 by moriko. The sugary sweet Cotton Candy Hunt starts today, and -Hanaya- is participating. Faun horns encrusted with gems and wrapped in ivy are adorned with exquisitely detailed early summer blooms – a 100% mesh wearable accessory. Like it? Stop by -Hanaya- in-world store during the duration of the hunt (May 4 – 31) and get your own copy. Please note that hunt gifts in this hunt cost 2 L.
Horses like cotton candy too! 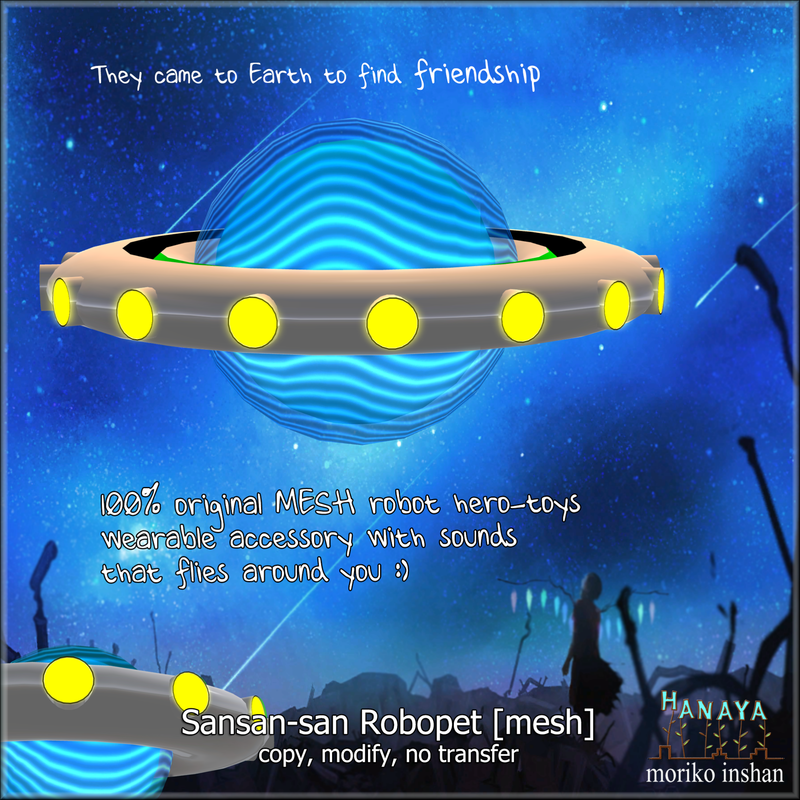 This entry was posted in Events, Freebies and Gifts on May 4, 2014 by moriko.